NASA scientists in Huntsville, Ala., said Tuesday night that the origin of a mysterious boom that rocked central Alabama earlier Tuesday "remains unclear." The evidence so far is pointing toward a large meteor or some kind of supersonic aircraft. The sound was reported to multiple Birmingham area law enforcement agencies and to officials in Arab, Anniston, Hayden, Kimberly, Center Point, Jasper and Gardendale, among other places. Bill Cooke, head of NASA's Meteroid Environment Office at the Marshall Space Flight Center, released what the office knows so far Tuesday night. 1. 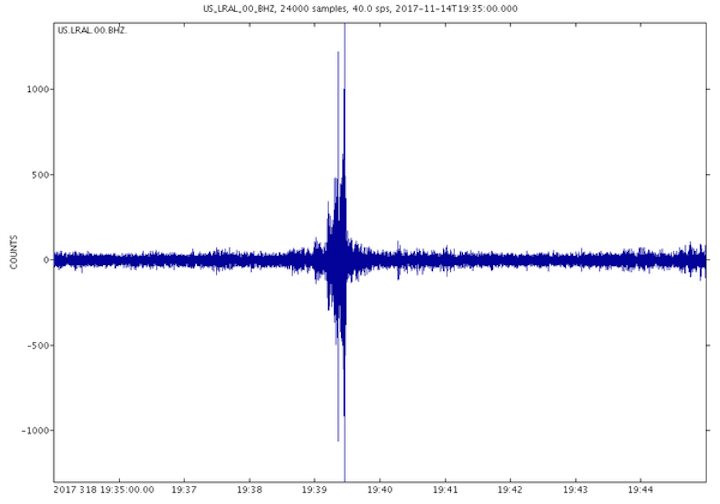 Seismic data from the U.S. Geological Survey's Lakeview Retreat near Centreville, Ala., show "a fairly loud boom occurring on or before 1:39 p.m. CST." 2. The Elginfield Infrasound Array in southern Ontario 600 miles from north Alabama "picked up a matching infrasound signal beginning at 2:02 p.m. and lasting around 10 minutes." NASA said the signal "could have been generated by a bolide, larger supersonic aircraft or a ground explosion." A bolide is a large meteor that explodes in the atmosphere. 3. Eyewitnesses reported a vapor trail, and NASA said that points to a meteor or aircraft. The sound wasn't caused by a Leonid meteor, NASA said. The Leonid meteor shower is occurring this month, but Leonid meteors are small and never penetrate low enough into the atmosphere to produce sounds audible on the ground. NASA says its scientists will look for new data Wednesday to better "characterize the energy of the event." That may provide more clues to its origin. Dr. Bill Cooke, lead scientist at NASA's Meteoroid Environment Office at NASA's Marshall Space Flight Center in Huntsville, Ala.
NASA said today the cause of the loud boom heard in 15 Alabama counties Tuesday may never be known for sure. The best guesses are "an explosion or meteor," and "explosion" seems the favorite. "No one can figure out the cause," said Bill Cooke, head of NASA's Meteroid Environment Office at the Marshall Space Flight Center in Huntsville. He cited insufficient data to reach a clear conclusion. The sound that originated north of Birmingham at about 1:45 p.m. CST was heard across 15 counties. If it was an explosion, Cooke said calculations indicate a force of "less than 10 tons of TNT." 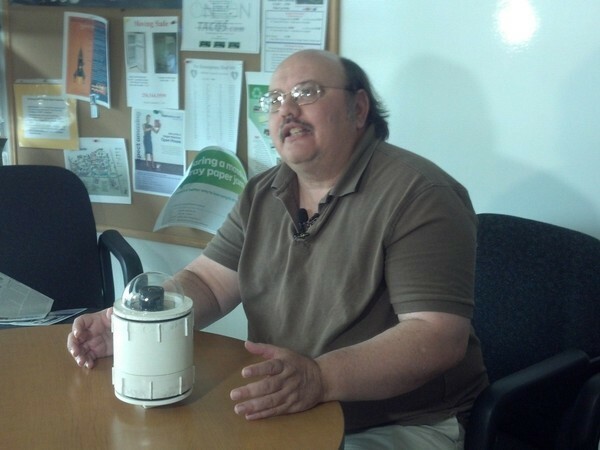 If it was a meteor, it weighed about 400 pounds and was about 2 feet across, Cooke said. If it had been a meteor, wouldn't someone have posted something on social media? "That's the big mystery," Cooke said. "I can't rule it out definitively, but I'm kind of skeptical it could be a (meteor) because there were no reports of a fireball. There are reports of vapor trails." Asked if the cause could be a military jet, Cooke said, "All I can say is that the seismic signature is not characteristic of that produced by a supersonic jet's boom. The shape doesn't appear to be right." Seismic data from the U.S. Geological Survey's Lakeview Retreat near Centreville, Ala., showed "a fairly loud boom occurring on or before 1:39 p.m. CST." Also, The Elginfield Infrasound Array in southern Ontario 600 miles from north Alabama "picked up a matching infrasound signal beginning at 2:02 p.m. and lasting around 10 minutes."